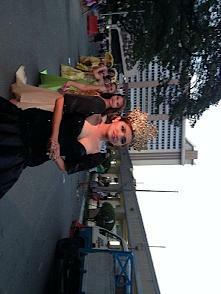 A different kind of santacruzan was held recently in Quezon City. It was different not only because the participants were transgenders from different organizations from all over the country but also because it had the full support of the local government. Called the trans-santacruzan (transgender santacruzan), the May 18 event was held in celebration of the International Day Against Homophobia and Transphobia (IDAHOT). Aside from the annual Pride celebration held every June, IDAHOT is another important event that the LGBTQ (lesbian, gay, bisexual, transgender and queer/questioning) community throughout the world celebrates every year. “The theme of IDAHOT this year, coinciding with the international celebration, is 'freedom of expression in all public areas'. We would like to show everyone that [we] trans people should be respected in terms of how we express ourselves in public places. We want to highlight LGBT rights and gender equality,” Dindi Tan, board member of the Association of Transgender People (ATP) in the Philippines and organizer of the trans-santacruzan, said. IDAHOT commemorates the World Health Organization's (WHO) action removing homosexuality from the list of psychological diseases. It was the outcome of a long-fought battle by LGBTQs. The trans-santacruzan was participated in by several LGBT organizations, including Alcaraz Beauties, Bellissimo Filipinas, Bermudez Beauties, Betera's Powerhouse of Beauties, Deaf Rainbow Philippines, GANDA (Gender and Development Advocates) Filipinas, LGBT Pinoy, Miss Gay Philippines Winners, Sytangco Beauties, TAO (Transpinay of Antipolo Organization), TransDeaf Philippines, and Trippers Philippines-TWC. “It was the first time the transwoman and transman communities were together for an event. We, [members of] TransMan Pilipinas, would like to show everyone that we exist, and that we are not lesbians,” Nil Orera Nodalo of TransMan Pilipinas (TMP) explained. 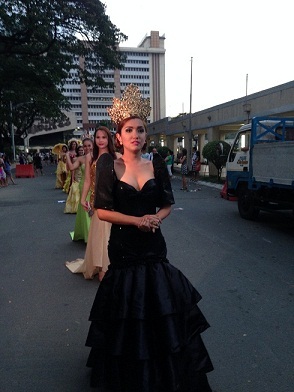 Another main feature of the event was the participation of US-based Filipino transgender model, Geena Rocero. 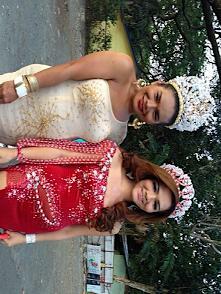 She came to Manila to attend the event and to meet members of local LGBTQ organizations. Rocero first gained public attention when she came out as a transgender during TED Talks' annual conference last March. Her video, a monologue about her life and the struggle she experienced during the years she hid her true sexuality, gained more than a million views. During the IDAHOT celebration, Rocero gave another inspirational speech on the importance of fighting for one's right. “We all have to stick together. I think one of the basic rights that we all have is to fight together to advocate for our name and gender recognition...without being forced to undergo surgeries. We all have to come together as a community so we can succeed,” she said. 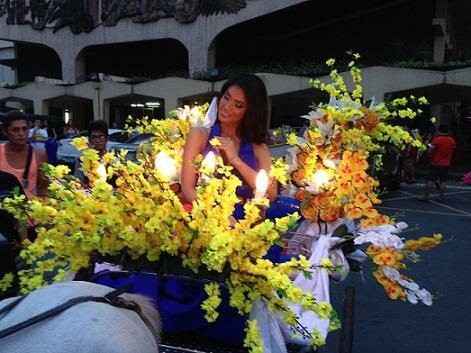 The trans-santacruzan did not only showcase the diversity of the transgender community, but also imparted a very important message to the public. “It is very relevant to celebrate IDAHOT because... [many are] not familiar with the transgender concept in the Philippines. And we, [members of] the transgender community, are affected by that. Most people in our society don't really understand what homophobia and transphobia really mean,” Kate Montecarlo Cordova, founder of the Association of Transgender People in the Philippines, stressed. Although Quezon City has made many efforts to improve the welfare of the LGBTQ community, still majority of local governments are still unaware of the struggles LGBTQs are experiencing. “The government is not doing what it is supposed to be doing in terms of alleviating discrimination against us. In the first place, how can it do it if it is not completely aware of us? That's why, we in the transgender movement, want to be visible in the society. We are very visible and yet invisible when it comes to health, rights, and in many other sectors,” Cordova pointed out.